Hi friends! No matter how much we take care in dressing up impeccably, it’s never really complete without that spray of fragrance J Don’t you agree? Personally, I have always preferred soft flowery or woody fragrances which do not scream “Hey-I-have-got-perfume-on!!! !” :D Come on, we all have come across that one person in every party who “generously” gives us the whiff of ultra strong smelling perfume! (Ugh!) Anyway, coming back to the review, I was really pleased when I received this perfume from the brand “All Good Scents” for review purpose. 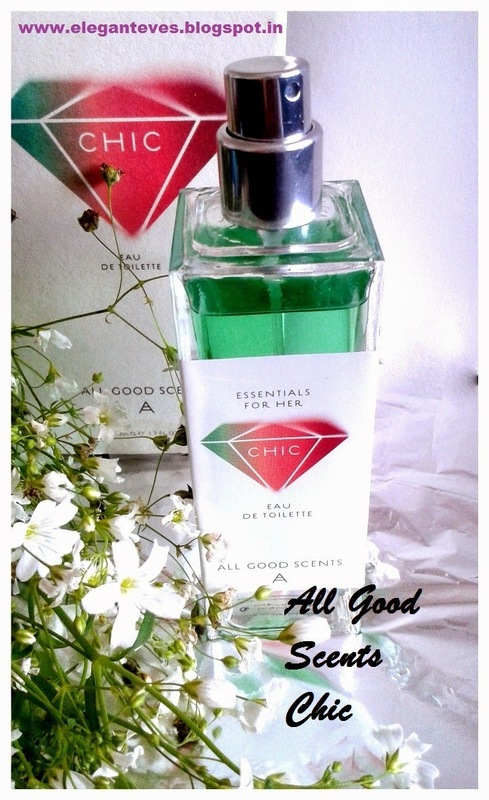 The All Good Scents is a new entry in the fragrance party :D Their Women Essential range of EDT perfumes comes in varieties called Flirty, Radiant, Tender and Chic. 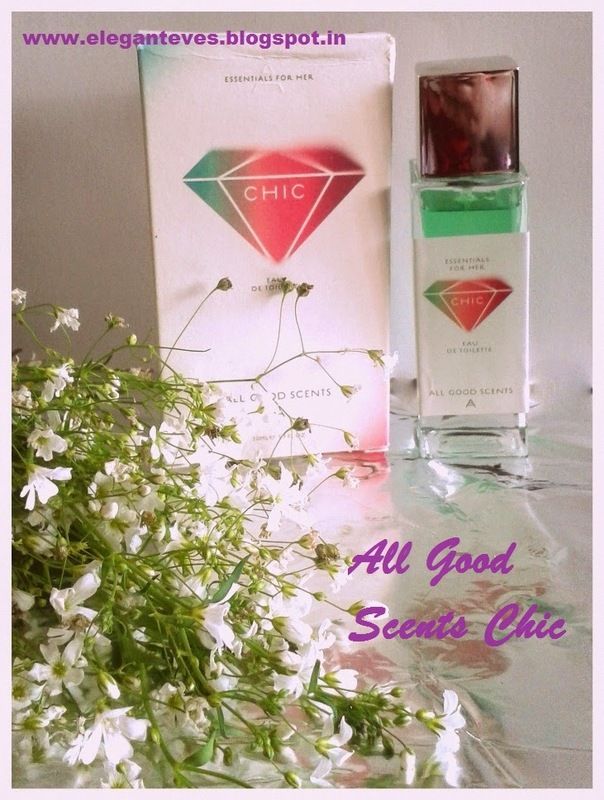 I have received the Chic perfume for review. Packaging: Honestly, I am not really impressed with the packaging of the perfume. I prefer ornamental bottles in perfumes… Vintage ‘lady-like’ ones being my favorite! But although this perfume comes in very basic and functional packaging, the bottle is sturdy enough that can well prevent a spill if carried in purse. 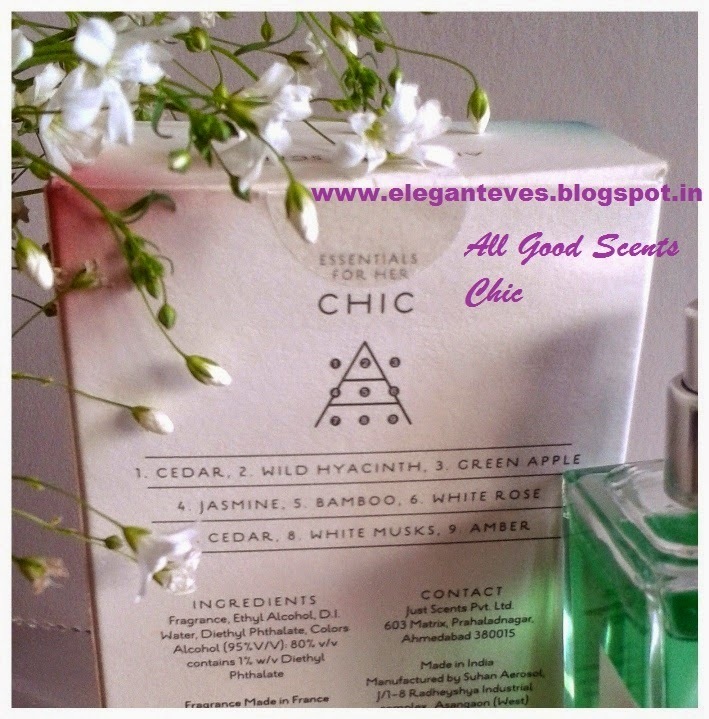 My take: Chic claims to have main notes of cedar, wild hyacinth and green apple. The fragrance is very unique and it’s not possible to categorize it as a floral, woody or fruity scent. It is a perfect blend of all of these and I really find it very refreshing! A light spray on my pulse-point and behind the ears and am sorted for the day. It surprisingly stays on for long and the smell is not overbearing at all. The perfume did not irritate my skin which is at its sensitive best recently! 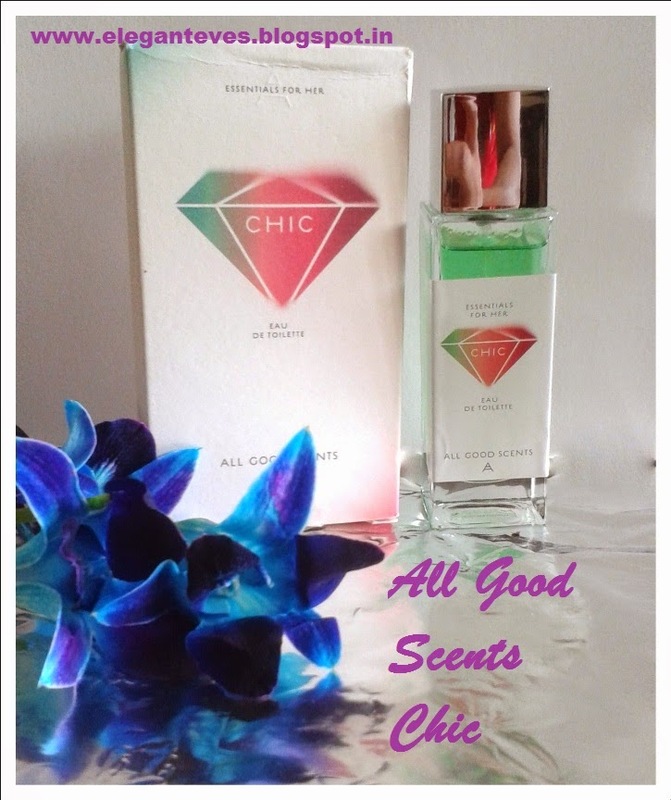 Recommendation: The Chic EDT from All Good Scents is a perfect for daily wear as well as parties. It’s affordable and does not irritate skin as well. The fragrance is subtle and it stays long.